(Newser) – Steve Jobs loved keeping his products under wraps, so he'd probably be annoyed that word has leaked a year early that the US Postal Service plans to immortalize him on a stamp*. A document obtained by the Washington Post reveals the USPS' stamp plans through 2016. The list includes Wilt Chamberlain, Harvey Milk, Janis Joplin, Jimi Hendrix, Johnny Carson, and the cast of Peanuts, among others. The original Post story doesn't even mention the Jobs stamp, which is listed in the "collectible" category for 2015. But The Verge noticed it, and points out that the selection is sort of ironic, given that "many of his creations reduced the need to send physical mail." I still use the postal service frequently. When I stock up on stamps I always inquire what image is on the stamps. I refuse to buy stamps that "commemorates" anybody, American flag, liberty bell that type is what I buy. What differences does in make ? Not much, just to me.. I just don't like anyone telling me who I should commemorate. WHAT?!! A STAMP FOR STEVE JOBS?!!! THE USPS WILL PUT ANYTHING ON A STAMP! 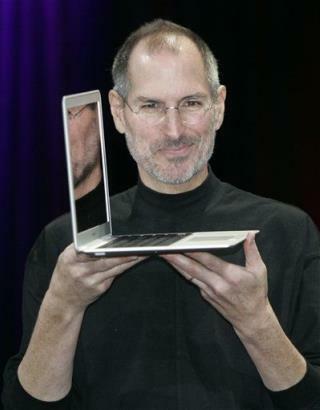 STEVE JOBS WITH HIS NEW TECHNOLOGY!! HAS CAUSED MILLIONS TO LOSE THEIR JOBS!! AT ALL THE PRINTED VERSION OF MAGAZINES, NEWSPAPERS , OR WHATEVER COMPANIES THE MILLIONS WORKED FOR!! NOW!! EVERY PRINTED VERSION OF MAGAZINES, NEWSPAPERS , OR WHATEVER!! WILL ALL BE ONLINE IN THE NEAR FUTURE!! (NO PRINTED VERSION AVAILABLE SOON TO BE)!! THAT'S THE TECHNOLOGY WE LIVE IN TODAY!! (THANKS TO STEVE JOBS) WHO WANTS TO BUY A PRINTED ANYTHING ANYMORE!! WHEN YOU CAN GO ONLINE!! & FIND ANY NEWS & WHATEVER INFO AROUND THE WORLD AND/OR UNIVERSE!! 24/7- 365!! GET IT!! I KNOW YOU DO NOW!! AND OH NO!! WHAT A FASTER & FASTER THE TECHNOLOGY ADVANCES IN OUR WORLD WE LIVE IN TODAY & IN THE FUTURE!! (THANK YOU STEVE JOBS)!! BYE!! BYE!! PRINTED VERSION OF MAGAZINES, NEWSPAPERS , OR WHATEVER!! AND ALL THE MILLIONS WHO LOST THEIR JOBS BY JOBS! !